Hello Nelly Moser my old friend, you've come to talk to me again. 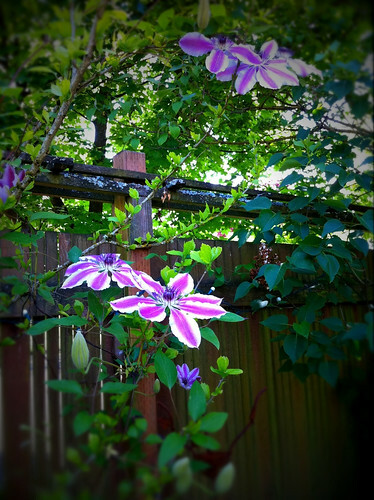 I love clematis. It is FINALLY that time of year. Yay! Unless I miss my guess, that's Nelly Moser. Pretty! Actually, all your weekend pictures were pretty - I especially liked the roses. I just didn't have time to say so.